What’s behind IBM Cognos 10? 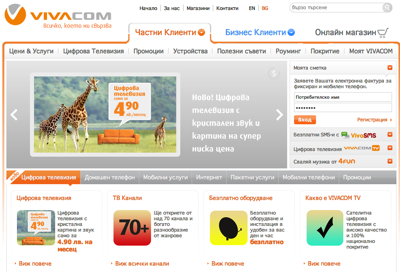 Unified telecommunications player Clarity has said that Bulgaria's leading telecom operator VIVACOM has gone live with its Unified OSS platform in Plovdiv, southern Bulgaria. Much of the last decade's software application development publicity has been characterised by vendors at various segments of the application lifecycle telling us that a huge percentage of projects go bad and fail to deliver. Information technology case studies generally play the role of Marmite in the marketing mix i.e. you either love them or you hate them. While some say that they show the role of true practitioners in practice; others say that they are nothing more than 'showboating' after a customer win. Delta’s free email in the sky, but does the industry all travel at the same altitude? I am currently the happy holder of a set of Delta Air Lines tickets which I will be using next month to fly on a transatlantic and then domestic American pair of journeys.